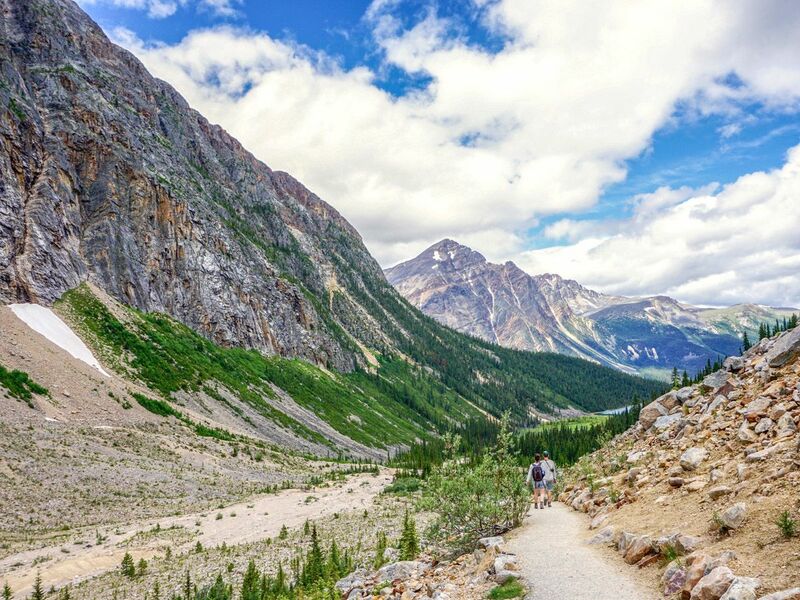 This is our favorite family-friendly hike in all of Jasper, with a well-maintained path taking you to a dramatic viewpoint up close to a glacier and stunning lake below. If you're lucky you'll see icebergs in the lake and a few marmots along the walk. From Jasper take the route 93 south. After approximately 12.0km, turn right onto Mount Edith Cavell Rd. This road is extremely narrow and taking a campervan up the way is prohibited. As well, any trailer or fifth wheels must be taken off at the bottom. Continue uphill along the narrow route for almost 15.0km until you reach the parking at the very end of the road. There is also parking across a gravel road right at the trailhead, with additional parking below right beside the street. Since you’ve gained a lot of elevation during your drive to the trailhead, remember your jacket, as it is often much colder here than down in Jasper. The trailhead is found at the far side of the upper parking lot. The entire path is paved, though at times narrow, however it can accommodate most strollers. This short hike climbs gently up to a stunning view of the Angel Glacier, and the moraine lake below. The large viewpoint has several information signs and is fenced off. Don’t pass the protective fencing, as calving off the glacier can create massive waves that are dangerous to those near to the lake. 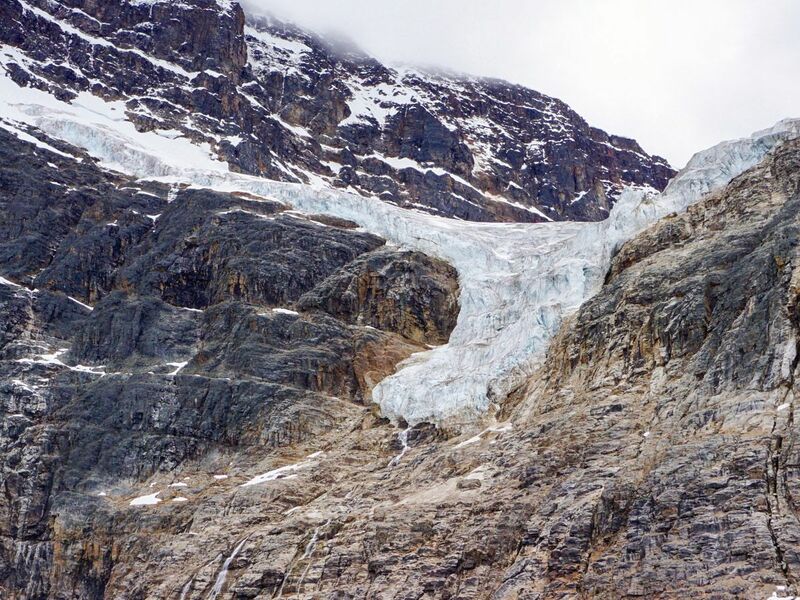 We’ve seen people walk down to go right beside the lake itself, however Parks Canada is quick to warn you that there is frequent rock and icefall off the Glacier and its adjacent mountains. Take a few glances back from the viewpoint – you will see wonderful sights of the red-tinted Franchere and Aquila Mountains. Take the path back down to return to your vehicle. Drive slowly on the steep route back to Jasper.  The Edith Cavell Hostel is a great base to explore this area. 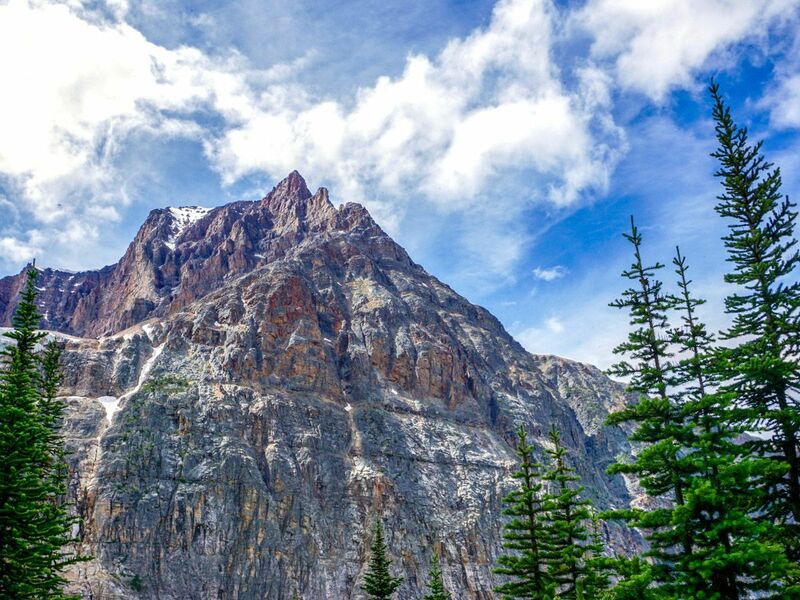 You can hike this Angel Glacier Hike, or Cavell Meadows hike one day and then head to Verdant Pass another day. Many tourists like to get as close as possible to the small lake filled with chunks of ice below the Angel Glacier. However, Parks Canada recommends staying well back from the lake, as there is frequent rockfall and icefall.